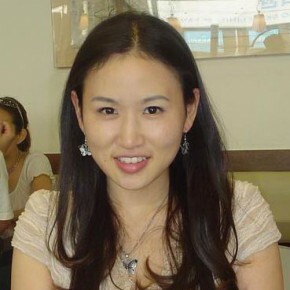 Ji-Won Lee is a public relations expert based in Seoul, Korea, and has extensive communications experience focused on international public relations and corporate PR in numerous sectors including finance and healthcare. She currently works as Director of Corporate Communications at Estee Lauder Companies Korea. Ji-Won was Senior Media Manager at Standard Chartered Korea, a financial holding company of the Korean business unit of Standard Chartered, a leading international bank. On corporate and international PR, Ji-Won has worked closely with leading Korean and international companies as well as organizations on enhancing brand awareness through a range of international media events. In particular, during the 40th anniversary of the establishment of bilateral relations between Canada and Korea, ”Celebration 2003”, Ji-Won’s communications work for the Embassy of Canada helped to augment the country’s reputation in high profile sectors such as culture and finance in addition to the well established education and tourism industries. Ji-Won was Marketing Coordinator at Edelman’s Seoul office from August 2005 to 2007, developing a range of communications platforms to position the firm as a leading PR consultancy that set the PR standard in Korea and beyond. She also participated and graduated from the 2006 Edelman Summer School, a yearly mid-manager global training and networking program for the top representative from over 50 offices around the world. Ji-Won graduated from Sook-Myung Women’s University in Seoul with a Bachelor of Arts in Public Relations, double-majoring in Political Science and International Relations. She successfully completed integrated academic and professional English language courses at Saint Mary’s University in Halifax, Canada.